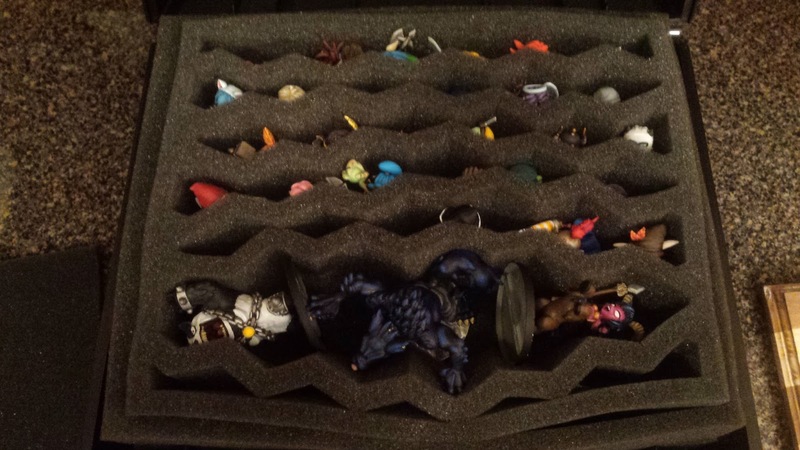 The Battle Case contains four foam trays for loading miniatures into it. 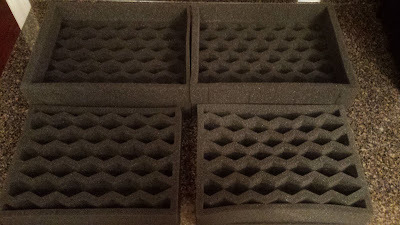 Instead of being the standard grid of uniform rectangular holes, it has rows of zig zagging foam. 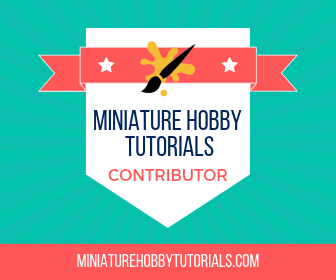 These z shaped walls allow miniatures of multiple sizes to be carried, without the need to cut the foam to accommodate the odd size figure. out after years of use. First thing I did when I got it home was to start loading up Super Dungeon Explore. I decided to pack in a 4-5 Hero game worth of minis and see what kind of free space I ended up with. bosses and mini-bosses. I was also able to pack in all of my Rattlebones, Ghosts and Slimes for creeps. 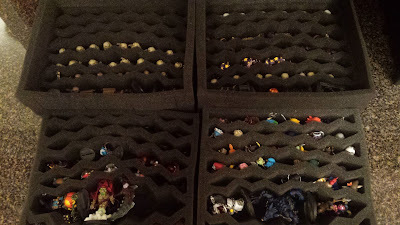 This left a few rows free in one of the trays and I was able to use the entire final tray to load up all of my currently painted Heroes. All total I packed in 6 Spawning Points worth of monsters, a boss, 4 mini-bosses, 5 treasure chests, 5 Boo Booties, 6 pets, 16 Rattlebones, 16 Slimes, 6 Ghosts and 26 Heroes. 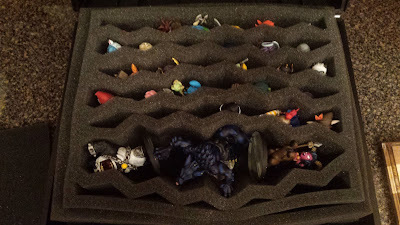 foam case couldn't handle anything larger than a small based mini, and even then some of the more dynamic miniatures were a tight fit. 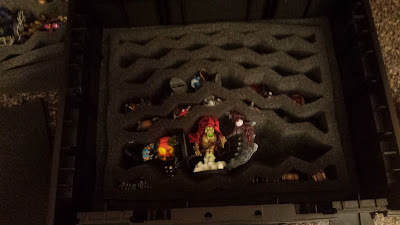 The z foam accommodates all of the differently sized SDE minis nicely, though some of the minis like the werewolf from Von Drakk Manor are a little tall and sticks up. But that's not a huge deal. Also, the foam compresses a bit when the lid closes and keeps everything nice and tightly packed. That's a huge improvement over the cardboard box I was using inside the original game box. I'm really pleased with this box and it should see a lot of use. Especially if I can get games of Bolt Action, Hordes or other war games going. 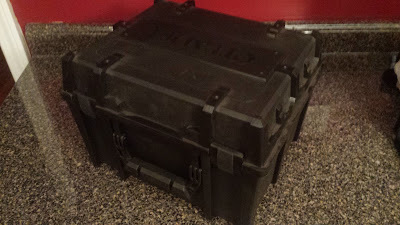 Not to mention, hauling around painted Ninja All Stars minis too, whenever I am able to actually get those painted up.